Just when you’re ready to dive into a day filled with spring gardening chores, the black clouds roll in threatening to curtail your plans. But before you sing, “Rain, Rain, Go Away”, slip on your rain boots and reshuffle your chore list to take advantage of the softened earth and cooler weather. 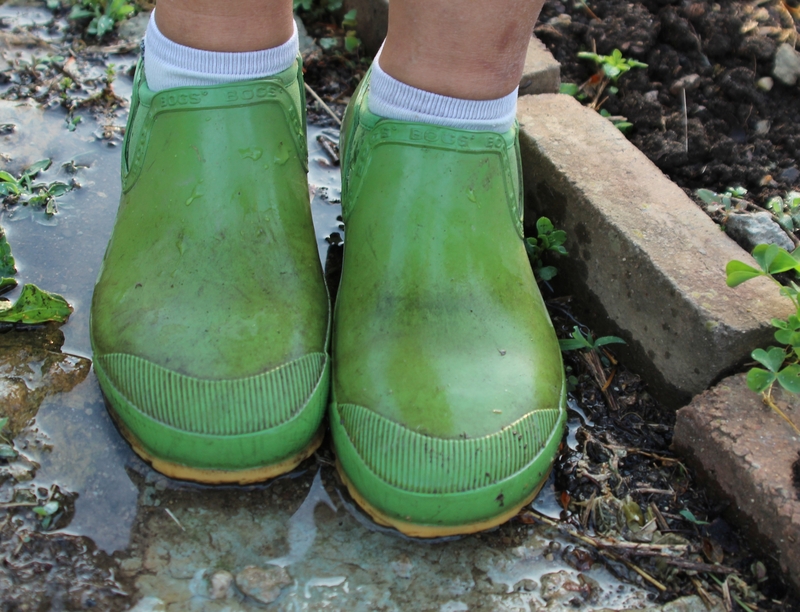 Here are five “dos” and five “don’ts” for gardening in the rain (that is, a gentle soaker rain not a take-cover thunderstorm rain). Edge beds. The ground is much softer for cutting a clean edge with an edging tool. Pull weeds. Weeds, especially those with long tap roots, are much easier to pull after a good soaking. 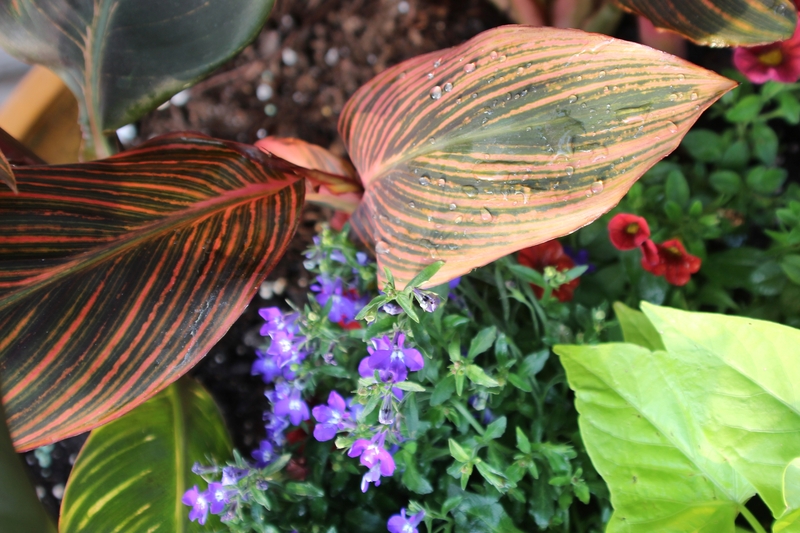 Fertilize plants. Sprinkle a dry fertilizer around trees, plants and lawns, and a nice, soft rain will help wash it into the soil and make it available to plants. Of course, avoid fertilizing in heavy rains that could wash it away. Also, try spreading a weed preventer before a good soaking rain. Turn the compost pile. Grab a pitch fork to turn over layers in a compost pile. The rain water and oxygen will aid in breaking down the compost. Go shopping. Head to you local garden center to stock up on plants and supplies to be ready for gardening projects when the weather breaks. Till soil. When the ground is wet, avoid working in the soil to prevent compacting it and squeezing out valuable spaces for air, water storage and root growth. Plant. Wait until the soil has dried out before planting annuals, vegetables, perennials, shrubs or trees. The plants’ roots will thank you for not squeezing them into wet, compacted soil. Trim large trees. Rainy weather can make tools and ladders slippery and potentially hazardous. Use heavy equipment. While it may be tempting to finish up a deck or patio project in the rain, rethink driving heavy equipment across a lawn or patio bed to avoid compacting the soil.